How did Kenyan music that originated among the Luo spread like a wild bush fire far beyond the shores of Lake Victoria to different parts of Kenya and further to Southern Africa and the world? Who was Oluoch Kanindo and how did his name give birth to a new genre of music in Zimbabwe? To get to the bottom of the Benga story, I went out in search of Tabu Osusa, who had just launched a much anticipated book, Shades of Benga: The Story of Popular Music in Kenya 1946-2016 at the Sippers restaurant in Nairobi’s Hurlingham area. Tabu is tall and looks in fit shape at 63. 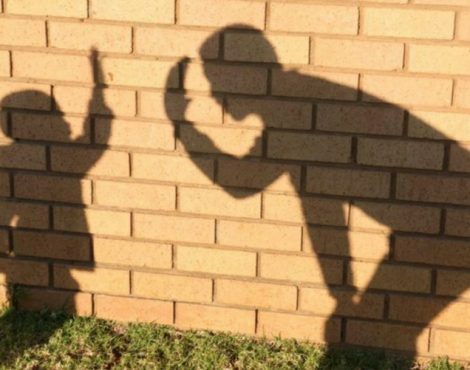 He wears a signature beret and glasses and carries himself with the fatherly disposition of a Catholic priest until he leans forward and starts agonising over his pet peeve, Kenyan music. The big Benga artistes in Kenya have nearly no presence to speak of in the ranks of popular Kenyan music. For many youngsters born after 1980, Benga is the kind of music one would probably only encounter in a frantic bus park of Kisumu. Tabu is a music producer and founder of Ketebul Music. His motivation for starting Ketebul (Luo for drumsticks) was the glaring absence of originality in the Kenyan music he sampled. To his refined ears, it sounded too American and nothing unique. For over a decade, he has discovered and produced musicians whose musical identity was rooted in indigenous cultural styles. Makadem and Winyo are some of his better known protégés. In the early 1980s, along with Samba Mapangala, he co-founded the Orchestra Virunga band, one of the biggest musical acts in East Africa for close to a decade. Presently, he is on a mission of piecing together Kenya’s musical history, delving into the pertinent question of Kenya’s musical identity. Tabu, under his Ketebul label, has produced several documentaries on what he refers to as a Retracing Series. The list includes Retracing the Benga Rhythm, Retracing Kikuyu Popular Music, Retracing Kenya’s Funky Hits and Retracing Kenya’s Songs of Protest. John Sibi-Okumu narrates the series in a distinct and posh accent and sounds like a British anthropologist on a BBC history channel. Shades of Benga is Tabu’s biggest project yet, taking up to three years of commitment to put together. He launched it alongside a photo exhibition at the Alliance Francaise Centre in Nairobi, tracing not just the pioneers of Benga music in Kenya but all the other greats from different genres that would define Kenyan sound. We sit on the upper floor of the refurbished Sippers bar, which is very different from the cramped drinking dungeon stuck in my memory. Sippers has a cherished reputation as an artiste hub, where forgotten heroes gather to reminisce over the good old days over a drink and intellectual banter. Some heavy hitters have played live at Sippers, folks like Ayub Ogada, Makadem, Winyo and Suzanna Owiyo. I ask Tabu about the title. “I called it Shades of Benga, because Benga is the dominant genre of music played in Kenya but the book is not all just about Benga”. I got a courtesy advance copy on PDF for this review. Shades of Benga is published in a coffee table format and I was amazed by how rich Kenya’s music heritage is. Stuff they do not teach you in school. Tabu has put together a musical encyclopedia of Kenya, paying tribute to all the pioneers of diverse musical genres, from the 40s straight to the present day. The book tracks Fundi Konde, Fadhili Williams, Joseph Kamaru, Kalenjin sisters, Super Mazembe, Sal Davis, Sauti Sol, Eric Wainaina, to name a few. However, for all his attempts at inclusivity, the focal point of his book, rich in detail, is Benga. The two influential personalities in the nascent Benga scene were Mwenda Jean Bosco and Eduardo Masengo who came from Eastern Congo and introduced a finger-plucking technique. The duo greatly influenced pioneer Benga musicians such as the Ogara Boys. In this new style, the guitar was not strummed but plucked in a manner that mimicked traditional African instruments. Benga has a distinct African musical heritage that connects culturally and socially with diverse groups of Africans in search of their sound. In the villages and market centres of Western, Rift Valley and Eastern and in the informal settlements of Nairobi, Mombasa and Kisumu, Benga music is what the masses respond to with enthusiasm. Men and women let loose, unrestrained to the feverish plucking of the lead guitar, to live music in the Eastlands neighbourhood of Nairobi. Benga artistes rarely get airplay on mainstream channels as they are deemed not polished enough for urban mainstream tastes. Benga’s working class label has relegated it to vernacular radio stations. The big Benga artistes in Kenya have nearly no presence to speak of in the ranks of popular Kenyan music. For many youngsters born after 1980, Benga is the kind of music one would probably only encounter in a frantic bus park of Kisumu. Benga trooped to town with the rural labour migration from Nyanza who came to Nairobi in search of the Kenyan dream. They clung to their music to find a rooting and as a kind of reality check against the influence of the new urban and foreign musical genres that were the rage in Nairobi. Benga music spoke to the issues and realities of the marginalised lower and rural classes. Tabu believes that Kenya has done a great injustice to its musical pioneers by refusing to acknowledge their contribution to the country’s musical heritage. Thus, Shades of Benga is a reaction to this glaring gap, a 70-year musical journey and a repository of not just Kenyan music, but a journey through Kenya’s social history. The book begins in the mid-1940s in the post World War II period with the return of the soldiers in the King’s African Rifle regiment. The King’s African Rifles East African battalion fought in several campaigns for the British during the First and Second World War. Not all the men were on the warfront; some would be recruited as part of the entertainment unit that went around spreading cheer to the troops in far-flung bases. At the end of the war, they returned home with their instruments and skills, bringing back the box guitar, the single musical instrument that would change the face of music in Africa. One of the pioneers was Fundi Konde, who became a breakout star and a sound engineer in his later years. Fundi Konde did time in Sri Lanka, India and Burma. His unit toured and performed 350 shows by the end of the war in 1945. Tabu remembers working with an older Fundi Konde in the early 80s and holds some regret for not recognising the privilege of sitting at the feet of a master. “By then he simply struck me as an old fashioned sound engineer,” he remembers with a distinct remorse at the folly of youth. Fundi Konde was influenced by the Afro-Cuban styles of beloro, chacha and rumba and he infused those styles into his music. The distinct tunes endure in his timeless hits, such as Tausi Ndege Wangu and Mama Sowera. Fundi Konde came to fame in the African band formed by Peter Colmore, a British Army captain who morphed into East Africa’s foremost impresario in the 60s. The original members were Joseph Chuza Dias, Baya Toya, Ngala Karani, Charles Senkatuka and Nelson Gonzabato. 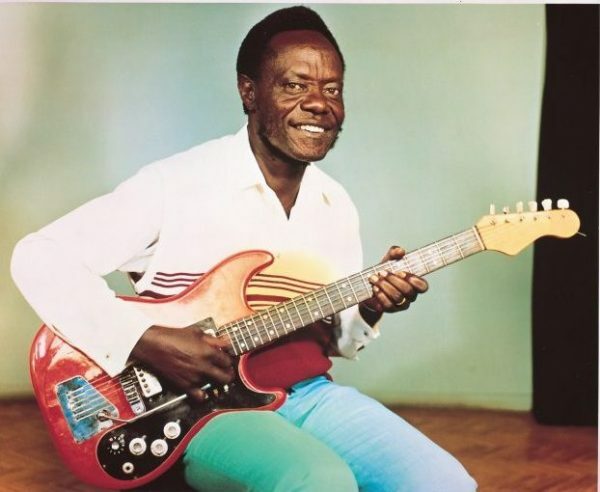 Fundi Konde is credited as the first Kenyan to record using an electric guitar and is regarded as the father of modern Kenya music. Kenyan musicians became widely recognised in Zimbabwe and Southern Africa at around the same time that Congolese music was gaining popularity in Kenya. Kanindo music is a source of nostalgia for Southerners. In 70s and 80s, Kanindo style, also known as Sungura, in Zimbabwe was bigger than the popular Chimurenga style founded by the legendary Thomas Mafumo. His contemporaries include Paul Mwachupa. He also worked with Fadhili Williams of the iconic love ballad Malaika. Tabu addresses the controversy behind the origin of Malaika in Shades of Benga. What we know of as Malaika is apparently the second version. The first version was done by Grant Charo with Fadhili Williams in the background in the Jambo Band. It was a collaboration. However, Fadhili would enjoy the spotlight after renditions by Miriam Makeba and Harry Belafonte put the single on the world map. Cover versions were performed by Boney M and Angelique Kidjo, elevating Malaika to the realm of classics. In the 1950s, with the Fundi Konde generation ruling the roost, something seismic occurred to Kenyan music and disrupted the party. The two influential personalities in the nascent Benga scene were Mwenda Jean Bosco and Eduardo Masengo who came from Eastern Congo and introduced a finger-plucking technique. The duo greatly influenced pioneer Benga musicians such as the Ogara Boys. In this new style, the guitar was not strummed but plucked in a manner that mimicked traditional African instruments. The melody leads, then the vocals build to a no-holds-barred instrumental climax. The beat is hypnotic and the revelers would let loose as though possessed. These pioneer musicians, drawing inspiration from traditional music, began to define a new kind of sound that was distinctly different from anything on the scene at the time. With the uniqueness of the new beat, Benga rose from a pairing of a sharp lead percussion guitar that dominated the track. The guitar was played with urgency steadily building up to a pure climax. The Luo musicians were the first to adopt this new guitar-playing technique that involved plucking and picking single notes, falling back on how the popular traditional fiddle like Orutu and the eight stringed Nyatiti are played. Joseph Kamaru was to follow with City Sounds in 1968 and it was from Kamaru’s stable that Kikuyu Benga would fluff its wings. A new sound was born and the imitators of this plucking technique would be credited as the pioneers of the Benga genre. George Ramogi and George Ojijo were among Benga’s original stars as they brought Benga to the mainstream by recording with different labels in Nairobi. However, in Tabu’s view, the Ogara Boys, which included John Ogara, Ochieng Nelly and Aketch Oyosi, were the true pioneers. As Benga gained ground in Nairobi, all the migrants who had moved into the city from the rural areas naturally gravitated towards it. Two distinct cultures emerged in Nairobi, the ethnic and the foreign. Benga retreated to the backwaters of Nairobi where it was associated with village life, poor rural folk and urban filth. Foreign music, such as funk, disco and soul, became upper class identifiers and those who wanted to belong stopped listening to local tunes. After Kenya’s independence in 1963, Fadhili Williams and Daudi Kabaka, another big star, rose to glory as the King of the African Twist, inspired by the King of Twist, Chubby Checker. The torch of Twist would be kept burning by John Nzenze for the following two decades. 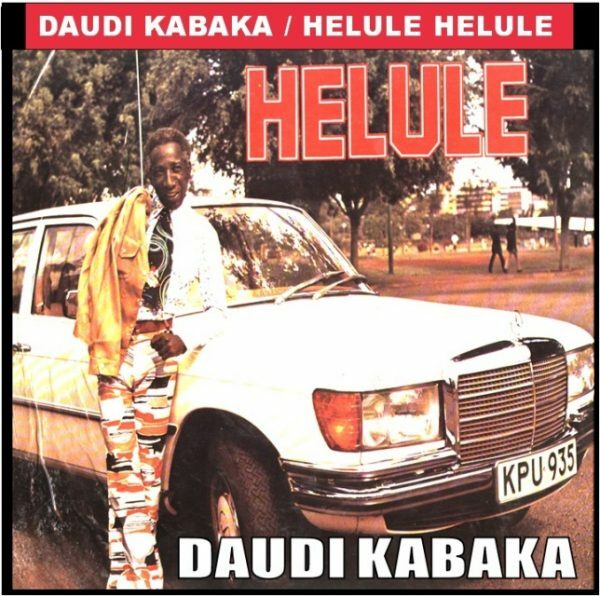 Daudi Kabaka, with his distinct head of white hair, created many classics and struck music gold with his most famous number Helule Helule. The song went global when the British band Tremeloes from East London did a cover and hit the top 20 in the UK charts. Other covers were done by Medium Terzett from Germany, Los del Sol from Spain and Dzentlmenu through the 60s. Sadly, Daudi Kabaka did not receive royalties for his hit song. Tabu would say, deadpan, “He sold it for a song”. Benga moved from the shores of Lake Victoria to Nairobi. The role of the session musicians on River Road was significant in its spread to different parts of Kenya. They took Benga beyond its stronghold. During this time, musicians from Tanzania, Uganda and Congo would arrive to record in Nairobi and these groups of highly talented session musicians ended becoming the regular back-up instrumentalists for the different artistes who frequented their studios in River Road. They played the beats and people laid their tracks. River Road became the Mecca of music production and from that single street Benga spread like a virus. Luo fishermen who earned a livelihood around the lakes of East Africa came with Benga music and spread it from shore to shore. 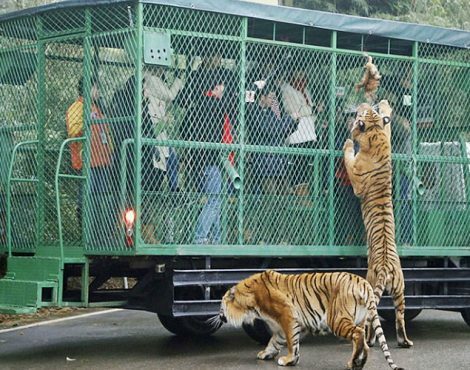 But for all its glory, Benga could not escape its class trap. 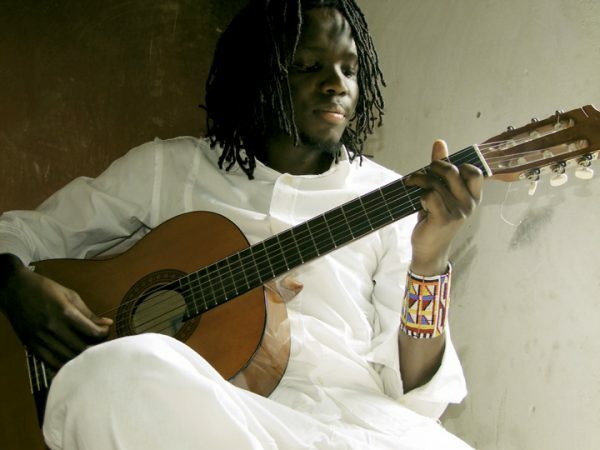 In the popular mind, Benga musicians were deemed inferior because they were not formally educated, unlike the Rumba guys who were college graduates musicians such as Jose Kokeyo, the father of the flamboyant musician Akothee and Owiti Ger whose grandchild Beldina Malaika has emerged as a contemporary musician in Sweden. This class bubble was responsible for the proliferation of Congolese Rumba in Kenya enjoying mainstream traction that Benga musicians craved for. The 1960s was a vibrant time in Kenyan music. Indigenous record labels rushed in to fill the vacuum left by European producers. David Amunga, who sang along Ben Blastos Bulawayo on the memorable composition Someni Vijana, was the first African to set up a record label, the Mwangaza Music store 1965. Joseph Kamaru was to follow with City Sounds in 1968 and it was from Kamaru’s stable that Kikuyu Benga would fluff its wings. The 1960s would also produce Benga’s first major band Shirati Jazz, formed by D. O. Misiani who hailed from northern Tanzania. By the 70s, Benga had captured the hearts and minds of cross-border populations, from Congo to Zimbabwe. Tabu describes the 70s as the golden age of Benga. D.O Misiani was a bonafide Benga superstar from the 70s through to the 80s, earning the title of The King of Benga. Misiani’s socially conscious voice resonated with the times. Shirati Jazz launched a string of hits that were East Africa’s biggest songs throughout the 1970s and 1980s. Shirati Jazz’s biggest rival was Victoria Jazz, formed in 1972 by Ochieng, Nelly Mengo and Collela Mazee. George Ramogi and D.O. Misiani would enjoy some level of commercial success, though in Tabu’s view, John Ogara had a more versatile playing style. The 1970s was also the period that Benga’s proudest ambassador entered the scene. He was a debonair and charismatic gentleman known as Phares Oluoch Kanindo, the Berry Gordy of Benga. Kanindo was a visionary marketer who decided to open a new Benga market in Southern Africa. Eager to establish new audiences, he organised Benga musicians into bands and started shipping Benga records to Zimbabwe, branded SP (Super Producer) Kanindo music under his AIT Records (Kenya) label. The independence war had curtailed music production in Zimbabwe. Kanindo who had a nose for opportunity set up shop and met the demand for an indigenous style that Zimbabweans related to. The music from East Africa struck a chord. Freedom fighters in the liberation struggle to free Zimbabwe from minority rule developed a fondness for the sound and today Kanindo music is associated with the birth of Zimbabwe. Progressive Zimbabwean musicians started sampling the new sound and from this emerged stars like Moses Rwizi, Kanindo Jazz Band and Obadiah Matulana, stamping a new Southern African identity on Benga. Benga music in Zimbabwe is known as Kanindo or Sungura music. If you switch to any YouTube channel and search for Kanindo music, you will come across a wide range of artistes, all from Zimbabwe, with Alick Macheso topping the list. Music is a major transmitter of cultural expression. When we abandoned our music, we cut the throat of our culture, our identity and our spiritual essence. 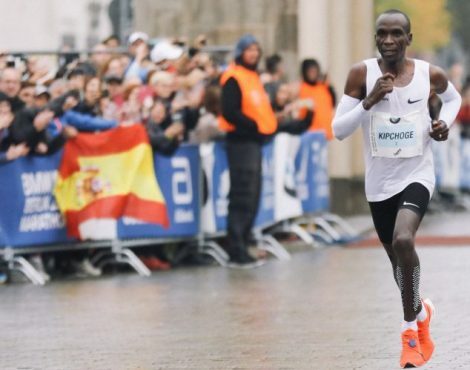 While Oluoch Kanindo was busy making inroads in the South, a Kenyan of Asian descent, Arvindkumar P. Chandarana based in Kericho, created a new Benga focal point in the Rift Valley. Musicians did not have to travel all the way to Nairobi, thanks to Chandarana’s Mambo label, which was directly responsible for the spread of Benga in the Rift Valley and Western Kenya and for the emergence of Kalenjin, Kisii and Luhya Benga acts. 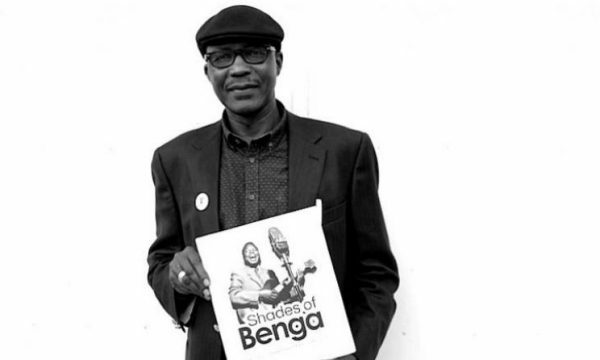 The decline of Benga began in the mid-80s due to a number of factors. The major record companies, such as EMI and Polygraph, left and the local producers could not match their market spend and reach. Technology was also rapidly changing as the cassette player took over from turntables and records. The new urban generation that had lost links with their rural foundations had turned West. The video cassette record introduced foreign superstars. Kenyans gradually started to gravitate towards American music and were swept away by the disco culture whose glitz was too hard to resist. In the home of Benga in Western Kenya, the rise of Rumba and Ohangla styles came after Benga’s crown. 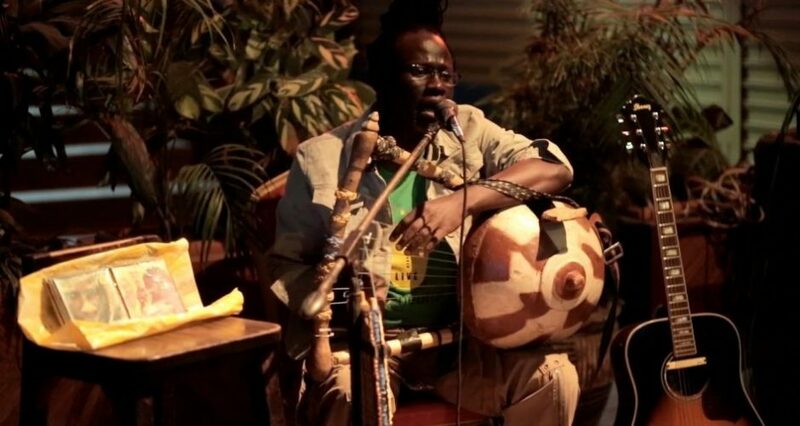 Luo musicians began to perceive Benga as too ethnic and gravitated towards rumba. Tabu labeled them with a trace of disappointment as the “Rumba crooners”. The question of identity and originality keeps recurring during the course our conversation. Benga is our beat and Tabu bemoans the young musicians who refuse to draw their inspiration from this source to create unique sounds. Music is a major transmitter of cultural expression and when we abandoned our music, we cut the throat of our culture, our identity and our spiritual essence. Tabu Osusa’s Shades of Benga is a worthy tribute to the forgotten pioneers of modern Kenyan music and a crucial contribution to the history of African music. The ancient said, when you lose your way, go back to where you lost your way and start again. It starts with remembering our roots. “We have to make ethnic cool again”, preaches Tabu. “When we left the villages for the city, we left behind our culture, our values, our foods, our languages and our music”. My dad is/was a rumba crooner. I’m thirty one and he literally drowned me in rumba and lingala. Some of the LPs he has from way back bear the names you’ve mentioned. 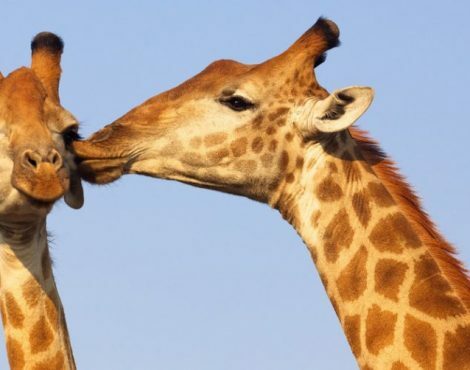 Pala,apart from wildlife I don’t think we have much of an identity to talk about once we leave Kenya…before Sauti Sol it was 2 Kora awards by DNG and Big Pin…how do you mention those two names in a conversation about iconic african musicians? Thanks for this piece, I’ve learnt a lot. Now go ahead and google DNG. I know DNG the hype man, did he ever win a Kora? I thought it was Eric Wainaina in 2001, there about. I think we do have identity issues but not for lack of what to identify with. Everything required to ground one in Kenyanness is right here, we only have to tap into it and read more local history. Thanks Nora. He sold it for a song. Ngoni, what a pleasure to hear a first hand account from that era. I did not gather any material on Richard Odongo Guya but will certainly go digging up from my sources. I will also connect you with some of the Benga leads in Kenya. Ngoni, we owe you a beer, some good benga and a long chat. That is a captivating account. Fela said, music is indeed a weapon.